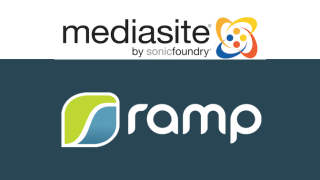 Sonic Foundry, provider of video creation and management solutions, has formed a technology partnership with Ramp. The partnership aims to scale delivery of enterprise streaming video applications such as corporate communications, training, and live webcasts to Sonic Foundry’s 2300-plus corporate, government, and enterprise customers. As demand for enterprise video accelerates, there is an increased pressure on enterprise network capacity to deliver video reliably without disrupting network traffic or causing bandwidth bottlenecks. The integration of Ramp AltitudeCDN technologies into the Mediasite Video Platform provides Mediasite customers market-leading solutions for scalable and secure video delivery behind the firewall with streaming, optimization, and control of all video across the enterprise. The integration is offered as part of the Mediasite Edge program that includes software as well as services for deployment. Sonic Foundry’s patented Mediasite Video Platform is designed to quickly and cost-effectively automate the capture, management, delivery, and search of live and on-demand streaming videos and rich media. Ramp’s AltitudeCDN product line provides a set of tools for delivering and managing distribution of video and media content across global WANs. AltitudeCDN OmniCache is a standards-based solution for distributing live and on-demand video webcasts, and AltitudeCDN Multicast+ is a multicast solution, delivering high-quality, reliable video broadcasts over bandwidth-constrained enterprise networks.